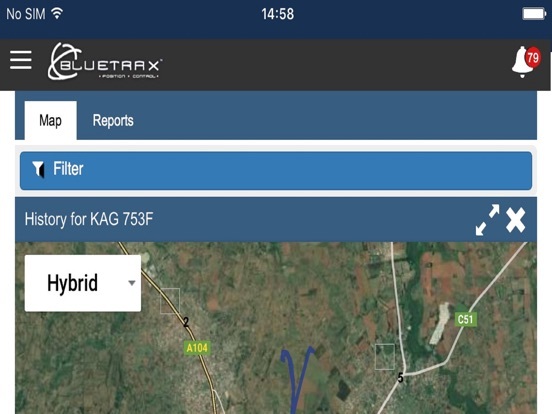 BLUETRAX MOBILE IS AN APP THAT ALLOWS USERS TO ACCESS THE WWW.BLUETRAX.CO.KE VEHICLE TRACKING AND FLEET MANAGEMENT PLATFORM. 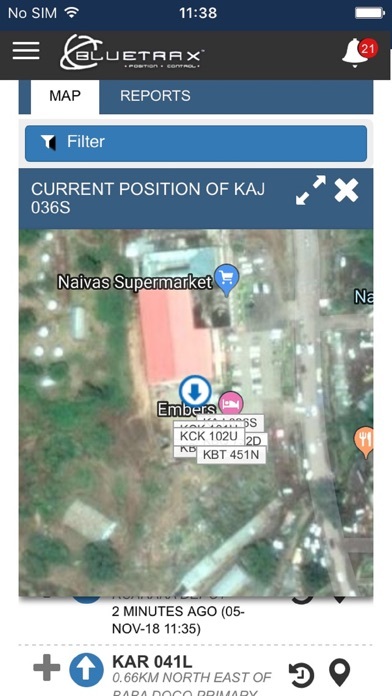 BLUETRAX MOBILE ALLOWS AUTHORIZED USERS TO VIEW THE REALTIME LOCATION OF THEIR VEHICLE, AS WELL AS VIEW HISTORICAL LOCATIONS OF THE VEHICLE ON A MAP OR IN A REPORT FORM. 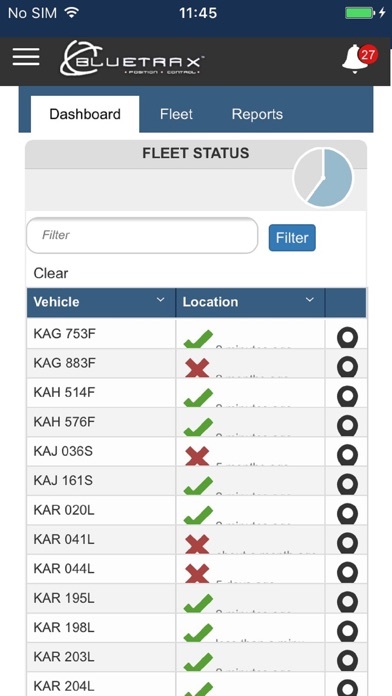 THE BLUETRAX MOBILE APP ALSO ALLOWS USERS TO RECEIVE ALERTS AND NOTIFICATIONS AUTOMATICALLY WHEN THERE ARE VIOLATIONS OF CERTAIN PRESET CONDITIONS. FOR EXAMPLE IF A VEHICLE IS SPEEDING, DRIVING AT NIGHT OR IN THE WRONG LOCATION. 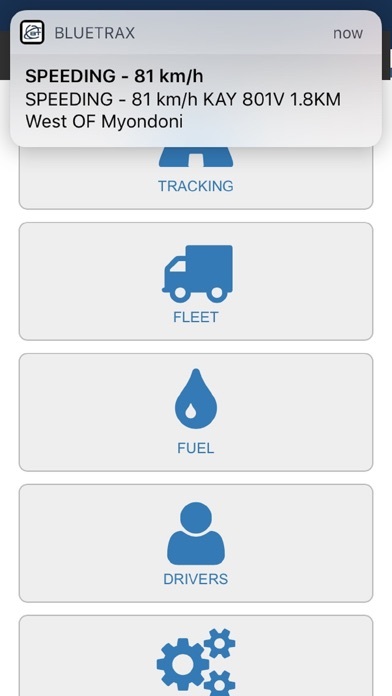 BLUETRAX IS AN EFFECTIVE FLEET TRACKING AND MANAGEMENT APPLICATION FOR ANYONE WITH A VEHICLE OR FLEET OF VEHICLES. 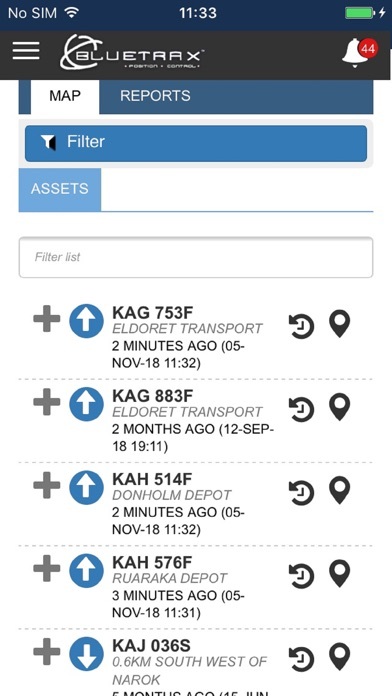 Updated filtering in tracking menu. 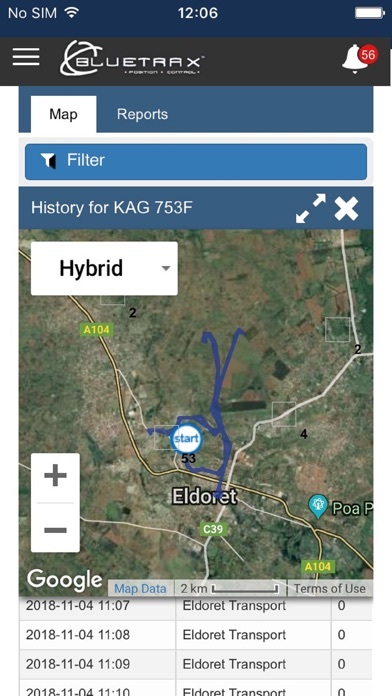 Filter user based on permissions.